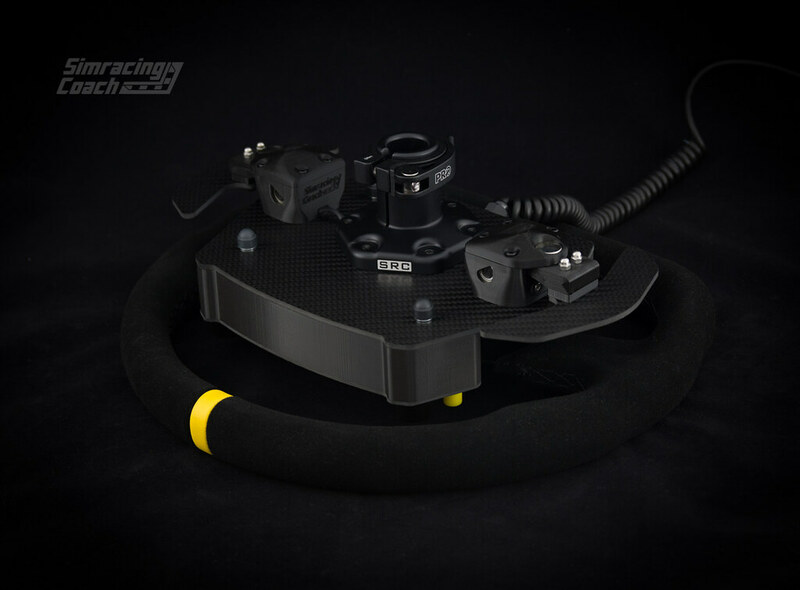 YouTuber and avid sim racer Chris Haye reviews the Sim Racing Coach GT1 Pro sim racing wheel. 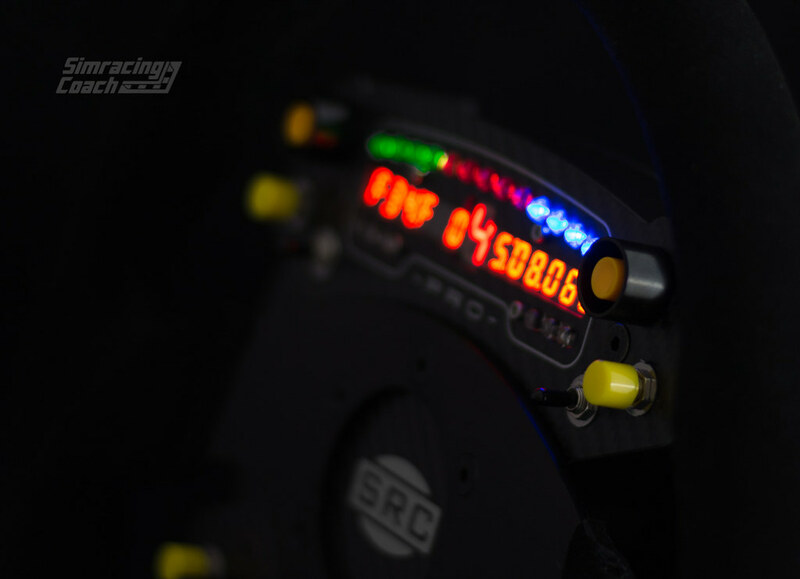 The SRC GT1 Pro sim racing wheel is a competitively priced add-on racing wheel for direct drive and Thrustmaster wheel systems. The wheel is built around a 320mm Motamec wheel rim with a wheel-plate featuring quality components such as a Bodnar SLI pro display, rotary encoders, toggle switches, and quality push buttons. 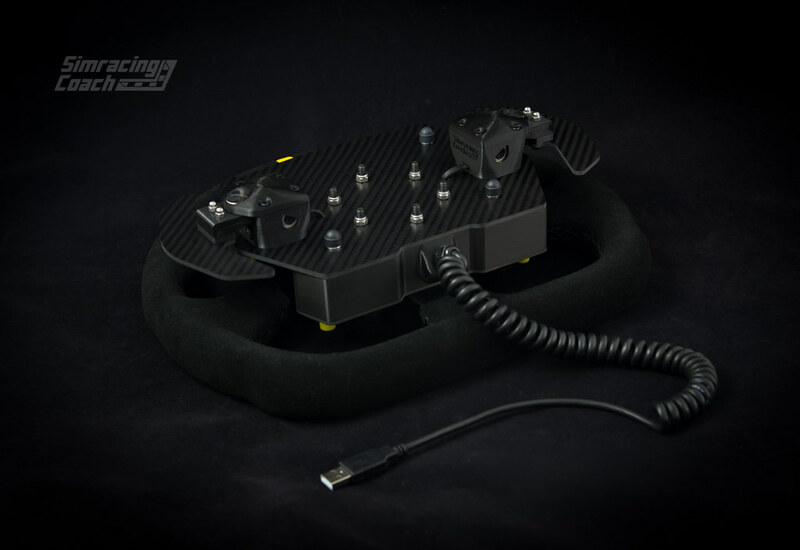 On the back of the wheel-plate, you will find two magnetic paddle shifters with Carbon fiber paddles. 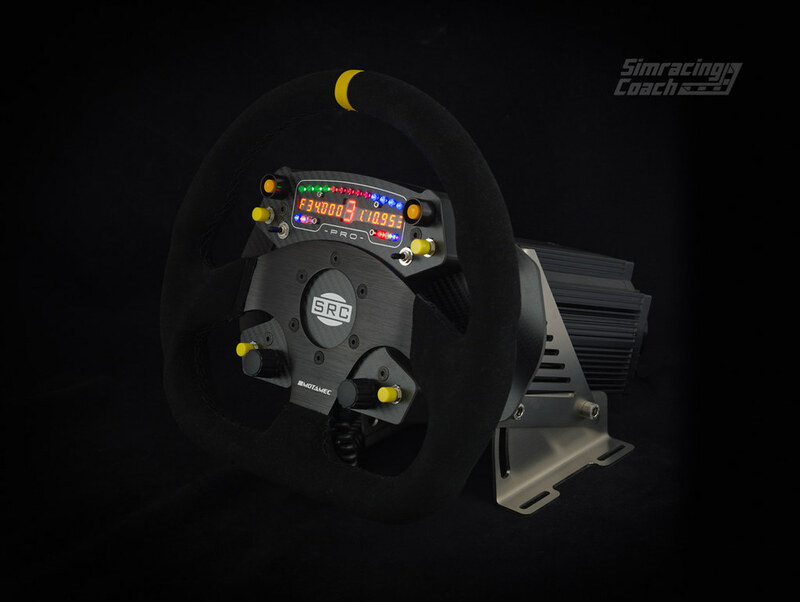 The Sim Racing Coach GT1 Pro Wheel is available at the SRC website for € 465.00 + shipping. Motamec 320mm diameter wheel rim. 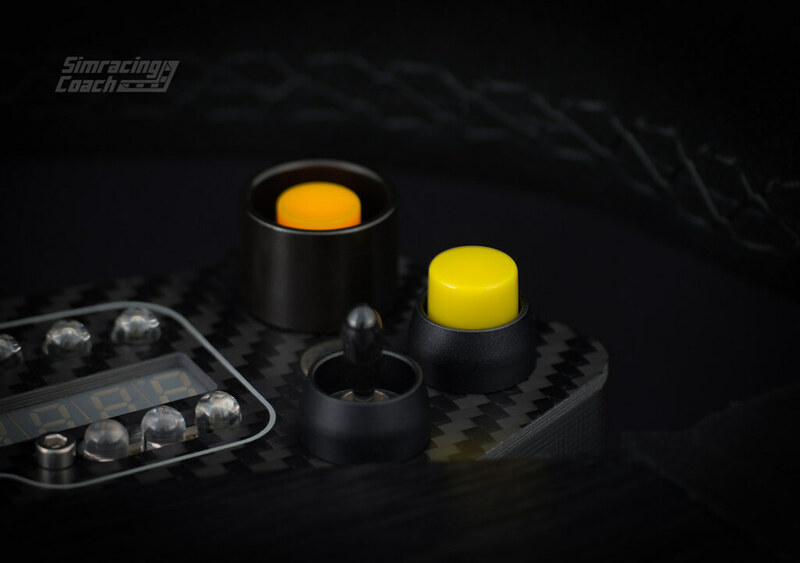 100% carbon fiber panel, specifically designed and reinforced to withstand the forces of the OSW Direct Drive motors. Utilizing quality components. Encased wheel plate panel with 6 push buttons of which are fitted with aluminum button guards, 2 toggle switches, 2 rotary encoders (CTS288V). A Leo Bodnar SLI-PRO Display unit. 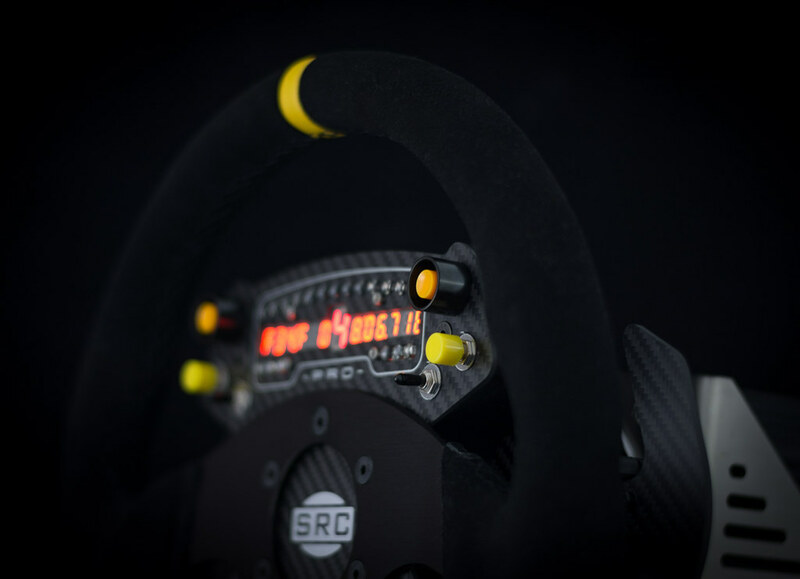 Reinforced magnetic paddle shifters with real Carbon fiber paddles. 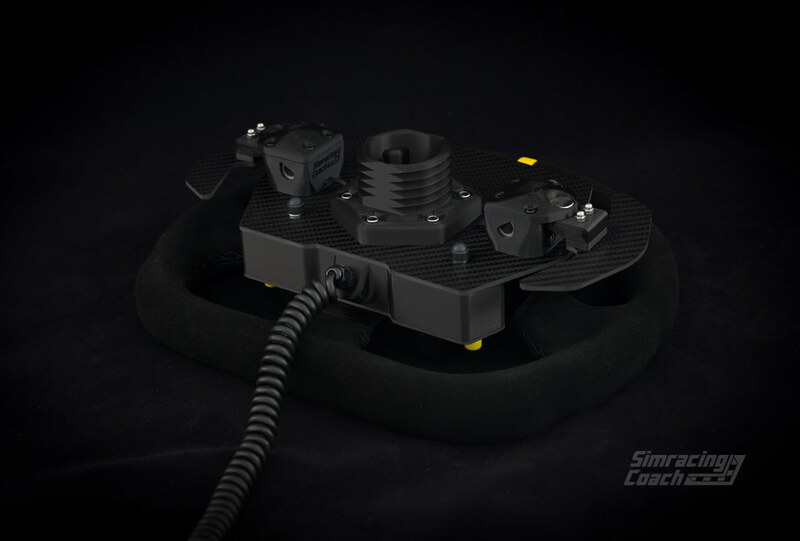 Compatible with the Open Sim Wheel (OSW) and Thrustmaster wheelbases by use of an SRC Aluminum Black quick-release or Thrustmaster Base Wheel Adapter. 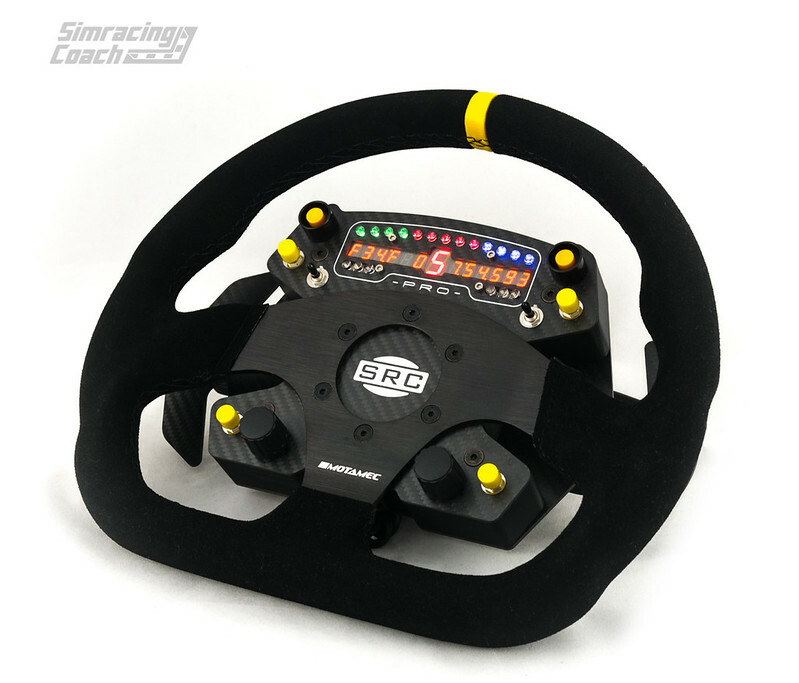 Ready to use, steering wheel with fully functional wheel plate and Bodnar SLI pro display. 6 x M5x60 mm screws. 6 x M5 washers. 6 x M5 nuts.